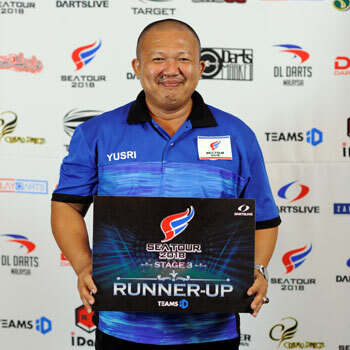 SEA TOUR is the Premier darts tournament created to find the best soft tip darts player in the Southeast Asia (S.E.A.) Region. It is hoped that this tournament can create plenty of opportunities for darters in this region to interact, exchange ideas, encourage each other and build strong bridges of friendship across this region with its varied cultures, languages and traditions. It was promising to see many young and aspiring players who came forward and joined us in SEA TOUR STAGE 3 SABAH. We hope SEA TOUR 2018 will be the path and platform to each and every one of your dreams, bringing darts to a new height in Southeast Asia. To our surprise, a 16 year old player came forward and took up the challenge to be part of SEA TOUR STAGE 3 SABAH. He managed to fight his way into BEST 8! This serves as an encouragement and motivation for other young and new players to take part. 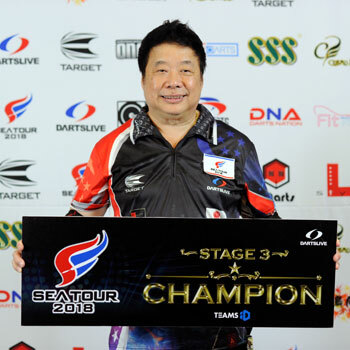 Once again, we would like to congratulate 'THE LEGEND' Paul Lim, who has claimed, for the third time running, the title of CHAMPION for SEA TOUR 2018.